As Chinese New Year is on its way, you might want to keep your well-being needs in mind. 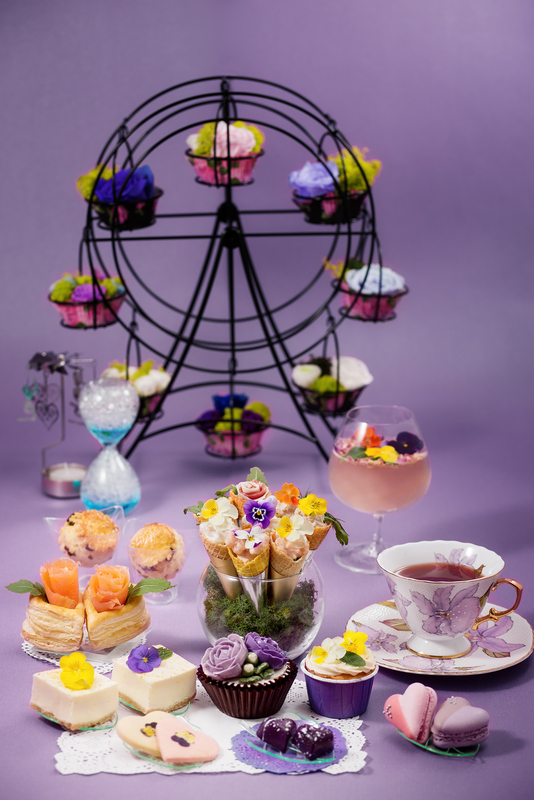 Dk Cuppa Tea is a hidden urban oasis at Sheung Wan to relax and dive in organic teas, coffees, bites and sweet treats, where also prepares dreamy and heartfelt afternoon tea sets, such as the “Spring Symphony”, for you and your Valentines to enjoy and revitalize a romantic afternoon. 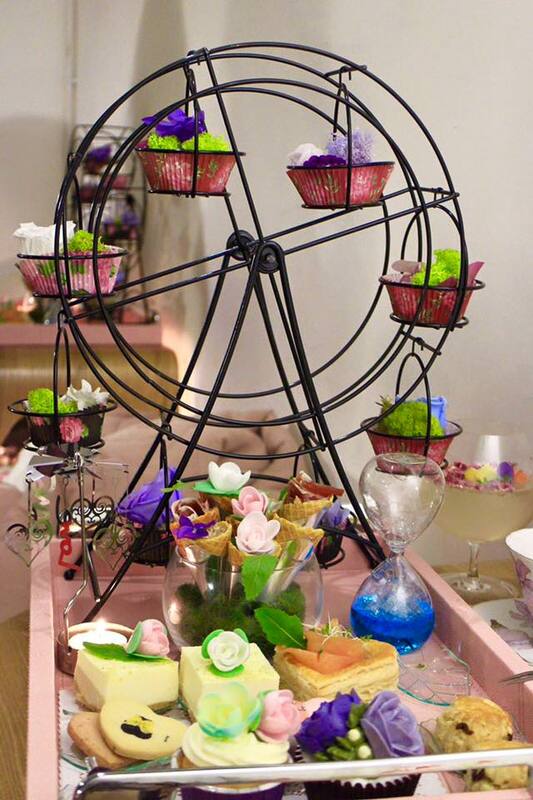 Marked by the fascinating design of a Ferris wheel with blossoming preserved fresh flowers, it begins with wide selection of savories presented as flowerpot composed of parma ham, wasabi scallop, shrimp and tuna salad mini cones, crispy salmon puff pastry, alongside some naturally yeasted English scones. 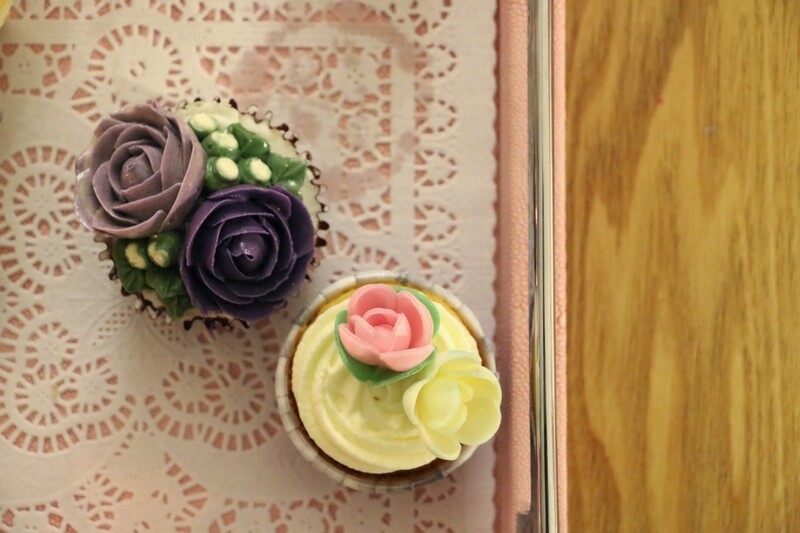 An array of exquisite desserts are also gorgeously displayed such as cupcakes piped with Korean floral lavender and decorated with edible flowers, refreshing yuzu cheesecake, as well as some lovely heart-shaped macarons and chocolates. Moving on to more technically Japanese pressed cookies, the set is followed with a purple sweet potato ice cream that is based using rich Hokkaido milk. It is very creamy and delightful. 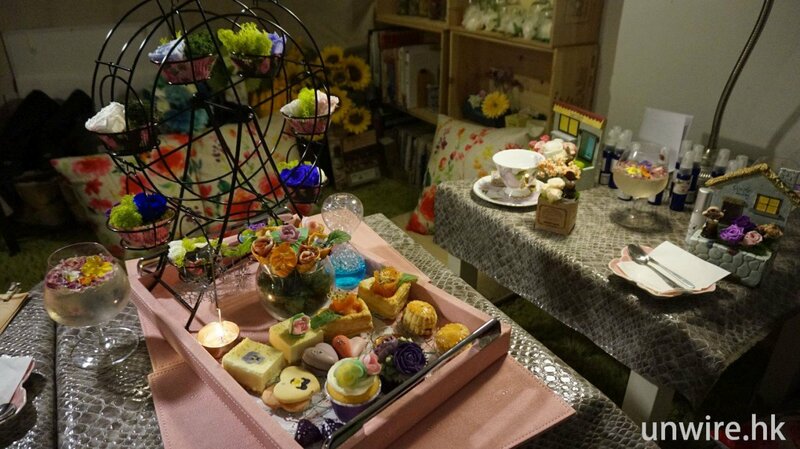 We enjoyed much on the cup of iced rose garden cocktail, which is essentially a non-alcoholic rose honey with soda. 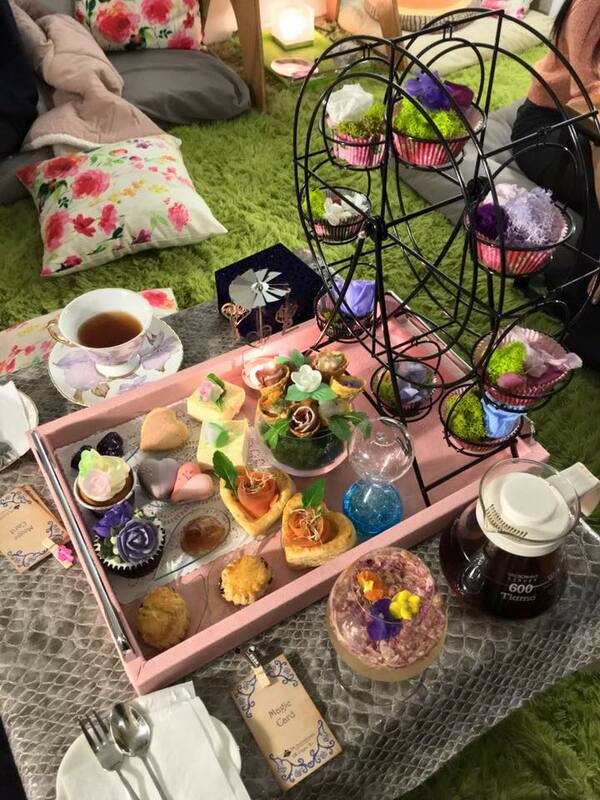 Given this place is solely owned by DK Aromatherapy, the afternoon tea lasts with five magic cards leading to some unique essential oils and their functions written for picks. These several natural based oils will definitely suit everyone. Finally, we are presented with a mystically gorgeous blue eye necklace containing “Fascination” perfume. 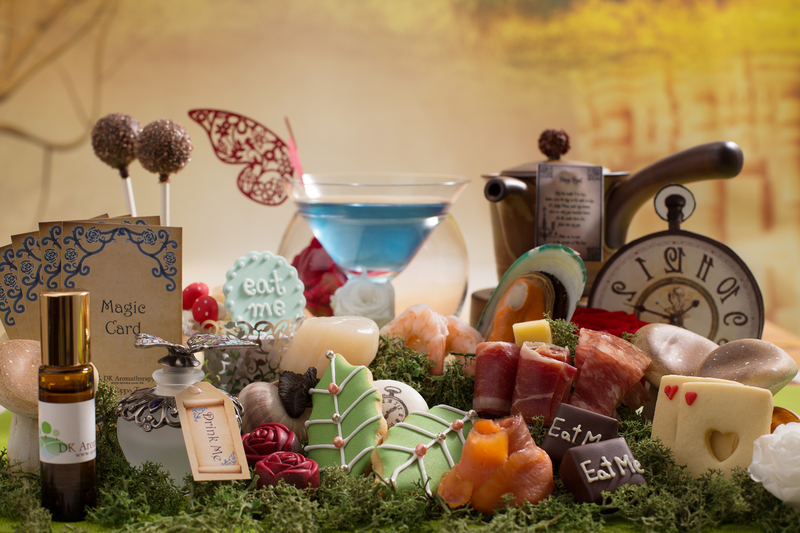 So pick a date and sweeten this Valentine’s Day with all these workshops and delicacies through an orchestrating trip. It is also available at DK Aromatherapy in Soho.